Thompson/Center Arms has identified a condition that may exist in Compass rifles. We have determined that there may be some instances, depending on the height and position of the rifle and other factors, where a chambered round may fire if the firearm is dropped with the safety in the fire position. Safety is paramount to us, so we are taking this measure to further enhance performance and to meet our customer expectations, with the goal of reducing the chance of an accidental discharge should the rifle be dropped. This recall applies to all COMPASS rifles manufactured by Thompson/Center Arms prior to September 16, 2016. Because the safety of our customers is our utmost concern, we ask that you stop using your rifle until corrective action can be taken. To facilitate the inspection and repair of your rifle, please contact Thompson/Center at 855-512-5935 to receive instructions and a pre-paid shipping label for the return of your rifle to Thompson/Center. 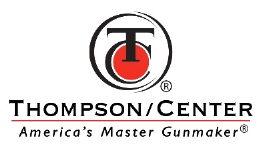 Thompson/Center will repair the rifle at no cost to you, and return it to you as quickly and efficiently as possible. Additional information will be available shortly on our website at http://compassrecalltcarms.com. In the meantime, if you have any questions about this recall, please contact Thompson/Center at 855-512-5935.